Lewis Lemon was born a slave in North Carolina in 1812. Sometime after that, his master. Orrin D. Lemon, took him to Huntsville, Alabama (Madison County). 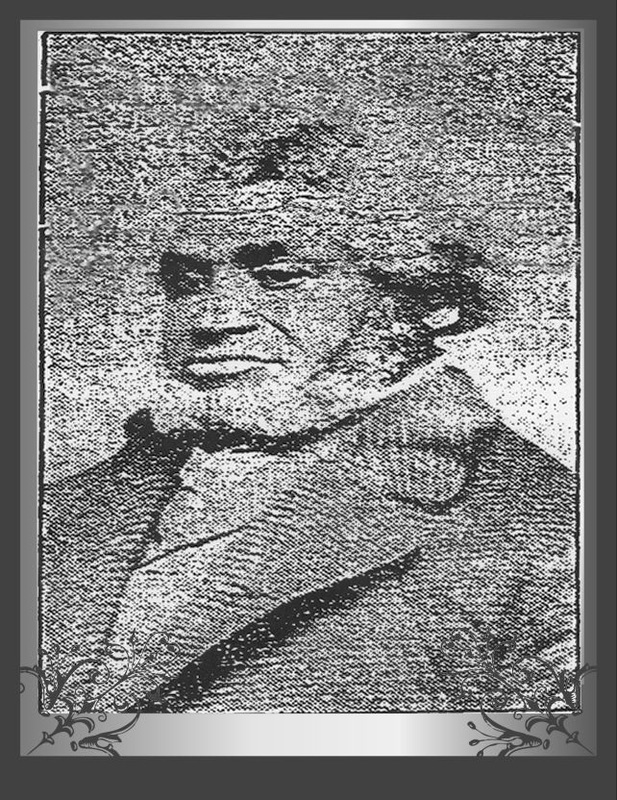 There, Orrin Lemon sold Lewis "as a slave for life" to a northern businessman for $450.00. The new owner was Germanicus Kent. Kent bought at least three other slaves while he was in Alabama: a young girl named Louisa, an older woman name Chena and her nine-month-old son, Henry. The intent was likely to use these people as house servants. Mrs. Kent was born in Culpepper, Virginia and was accustomed to southern culture of the time. 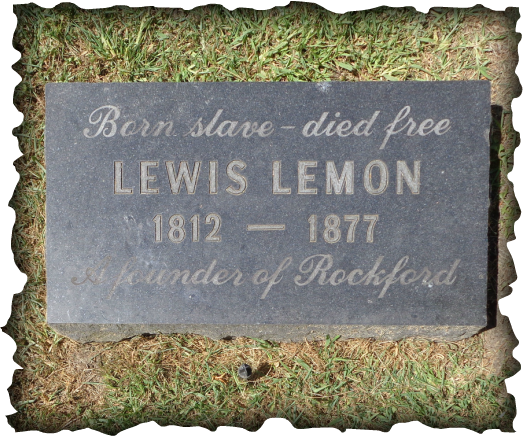 Lemon was also known as Lewis Kent when he lived in Rockford. Lemon was said to have a room over the kitchen as his living quarters. He prepared the food including animals and took care of cleaning the household. He undoubtedly help plant and care for the garden. Mrs. Kent was said to have lovely plants and bushes around the home. Many were there years after the Kents left for Virginia. Kent's brother, Rev. Aratus Kent, was a Presbyterian missionary who went to Galena, IL in 1829. He wrote to his brother telling him of the beauty and possibilities of the Illinois country. He was opposed to slavery according to family accounts, but his own letters indicate he was not an abolitionist and did not have strong feelings about slavery. 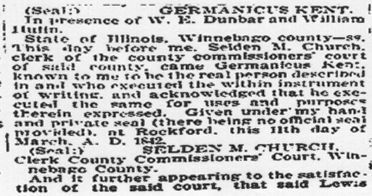 Germanicus Kent decided to sell his business interests and property in Alabama and take his family to Illinois. He sold his property including the slaves -- all but Lewis Lemon. Lemon asked Kent to take him with him to Illinois. Sometime in the fall and winter of 1833-34, the family traveled to Illinois. This contract amounted to an indenture, but an indenture is a written, formal contract usually with a copy for the parties involved and registered or recorded with a legal or governmental entity. There is no evidence that Lemon had a copy of the contract. There is evidence, in Kent's journals, that he made the contract. The date of the manumission document is evidence that Kent kept his word. The document signed by Kent on September 9, 1839, with an indenture time of six years, would place the contract start date at May 9, 1835. This is the month that Kent brought his family to Rockford from Galena to start their new life. They had already spent the winter in Galena. Years later, in an interview, Lemon said he had been a slave in Winnebago county for four years and four months. This corresponds with the date that Kent brought his family, including Lemon, to Rockford. Winnebago did not become a separate county until 1836, but we will allow Lemon this slip. He was a slave here from May, 1835 to September, 1839 -- four years and four months -- but he was a slave elsewhere all the previous days of his life. 2500 Kilburn Avenue, Rt. 70, at Glenwood Avenue is where Kilburn turns northwestward. Lemon left the Kent household shortly after he was given the manumission document by Kent in 1839. We know this because Lemon is not listed on the Kent census records of 1840. The first lawyer in town, John Kimble, married a woman from New York state who came from a wealthy family. She had been given a slave (Isaac Wilson) when she was born but New York had emancipated all of their slaves in 1829. Ike, however, had followed his mistress to Chicago and then to Rockford as a servant. John Molyneaux, whose carefully researched and deftly written book on Rockford's early African American community is a Rockford treasure, believes Lemon stayed with the Kimble family for a while. In 1842, Lemon's manumission document was placed on record at the county courthouse. It was signed and attested by the court as witnesses. It does not specifically say in the recording document that Kent was there when the transcription took place. There is reason to believe that sometime after 1842, Lemon left Rockford and moved to Iowa. Not much is known about this at this time. We know, however, that Lemon returned to Rockford by 1871 when he was invited to be a member of the Early Settlers' Society. He was still poor so the Society paid his initiation fee and his yearly dues. Once again he stayed on property owned by the Kilburns and sold vegetables grown in his truck garden. He died in 1877 of dysentery. The Old Settlers' Society paid for his funeral, his grave at Greenwood Cemetery (then called West Side Cemetery), and his burial. There was nothing in his home that could be sold to recoup their costs, verifying his indigence. But, thanks to his friends, he was not a burden upon the county. Lewis Lemon has now become recognized as a Rockford founder, being a member of the three-man team that came here in 1834 with Germanicus Kent as its leader and Thatcher Blake as an employee of Kent. Lemon's gravesite, which was unmarked for nearly a century, was discovered by an eighth grade class from Wilson Middle School in 1995. They raised money and with the help of a donation were able to place a gravestone on the site. Later, the Rockford School Board named one of its new schools for the pioneer. Rockford Public Library has a small branch called Lewis Lemon Branch Library. It is housed in the school building with its own entrance. Lewis Lemon, c 1871. This photo of Lewis Lemon aka Lewis Kent was discovered in Rockford newspaper archives on microfilm by John Molyneaux in 1995. Since its discovery, many artists have made likenesses and images of the former slave. 1. Photo at top is a detail from Gene Horvath's sculpture titled "Pulling Together." Photo by C. Fox. 2011. 6. Photo of Lemon gravesite by C. Fox. c2015. 7. Photo of Lewis Lemon Elementary School by C. Fox, c2015. 9. 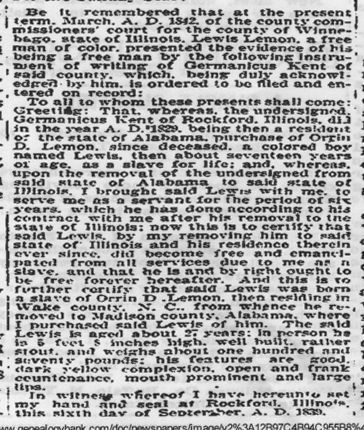 Lemon's move to Iowa mentioned in a letter from Germanicus Kent to his brother Aratus in 1859.